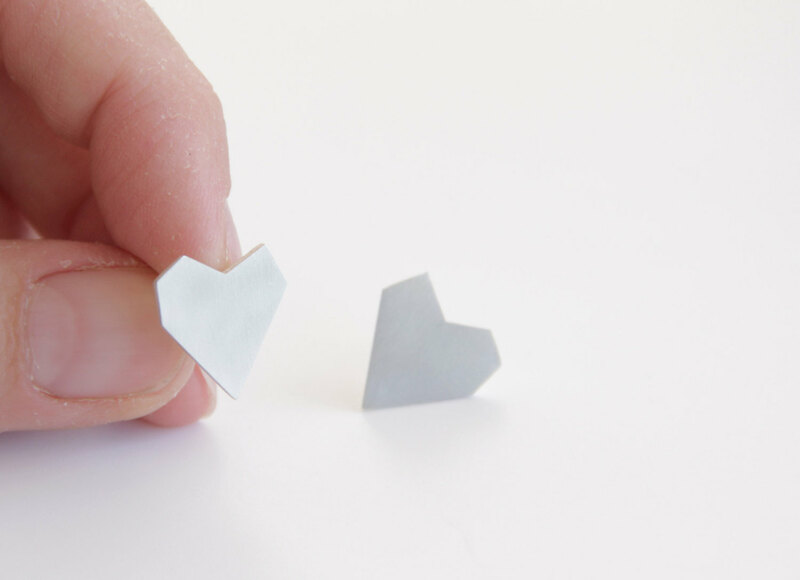 - The hearts are hand cut from sterling silver sheet. Sterling silver posts soldered at the back, and sterling silver butterfly stoppers. 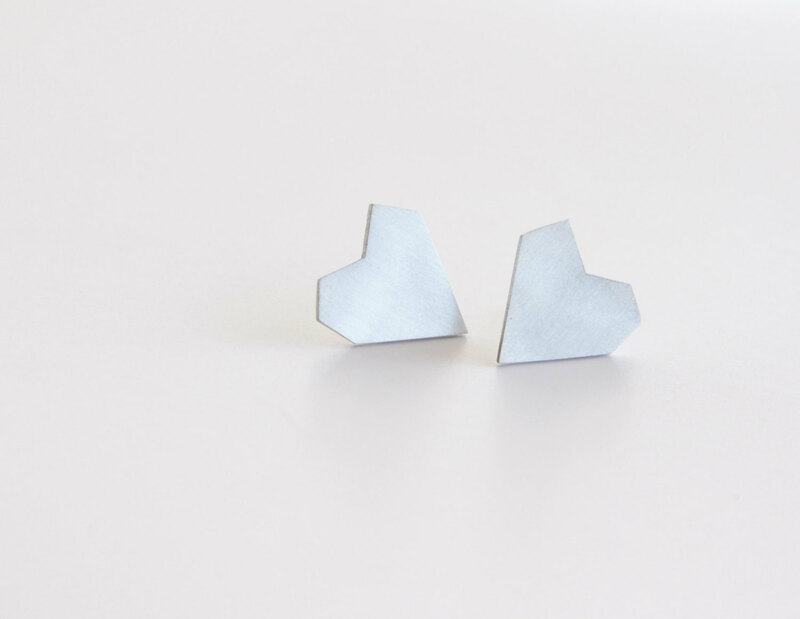 - The earrings measure 1.6 cm (0.63 inch) long by 1.6 cm (0.63 inch) wide.